Some ideas on Pinterest are better left as ideas. I'm not crafty so I know when something looks like it's going to end miserably. Luckily, there are some ideas on Pinterest that rock. 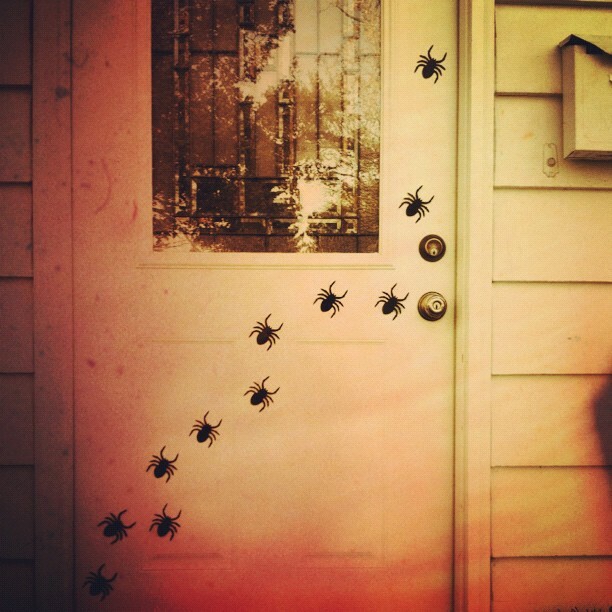 Delia Creates came up with this simple Halloween decor. I proudly can say that I achieved my Pinterest goal. From Delia Creates, it's spider rings and magnets. I improvised and used duct tape and spider foil cutouts. It still gets the creeper spider look. What do you think? Did I nail it?